BARBARAELLEN KOCH PHOTO | Blowing snow on Doctor's Path near Reeves Avenue last January. An estimated 35 cars were pulled from the snow that day. Residents could face some stiff fines this winter for parking on the street during snowstorms. The Town Board decided informally on Thursday to hold a public hearing on a proposal that would give the supervisor the authority to declare a snow or winter storm emergency, during which it would be illegal to park on town streets or to throw snow onto a town street or sidewalk. And violators could face fines of up to $250. “The highway superintendent has to plow streets with cars parked on them, then car owners shovel the snow off their cars and back into the street, where it freezes over and becomes dangerous,” Councilman John Dunleavy said. Under state law, the supervisor already has the authority to declare a state of emergency, which would also ban parking on street. The proposed law, however, would add a provision to the town code giving the supervisor the discretion to declare and terminate a snow emergency. The proposal would require the supervisor to file that notice in writing with the town clerk’s office and notify at least one local radio station immediately following the declaration. No date has been set yet for the public hearing. Highway Superintendent George Woodson has been lobbying the board for such a law because his plows often can’t get around cars parked in the streets during snowstorms. A week earlier, the Town Board discussed proposing a similar law that would be triggered when a specific number of inches of snow fell, but board members later said that would be unenforceable. “You can’t legislate common sense,” Supervisor Sean Walter said of the proposal to base the snow emergency on a specific number of inches of snow. It’s been more than seven years since the promoters of the ill-fated Field Day Music Festival at EPCAL sued the town, Police Chief David Hegermiller and a host of other government officials and agencies over the denial of a permit to hold the two-day festival at EPCAL in June 2003. But it wasn’t until last Tuesday that the Town Board decided to pay for the legal defense of Chief Hegermiller. The lawsuit names the chief as a defendant and sues him individually, which means that if the plaintiff were awarded damages, he’d have to pay them out of his own money and also pay for his own attorneys. Field Day’s promoters are seeking more than $20 million in damages through the lawsuit. 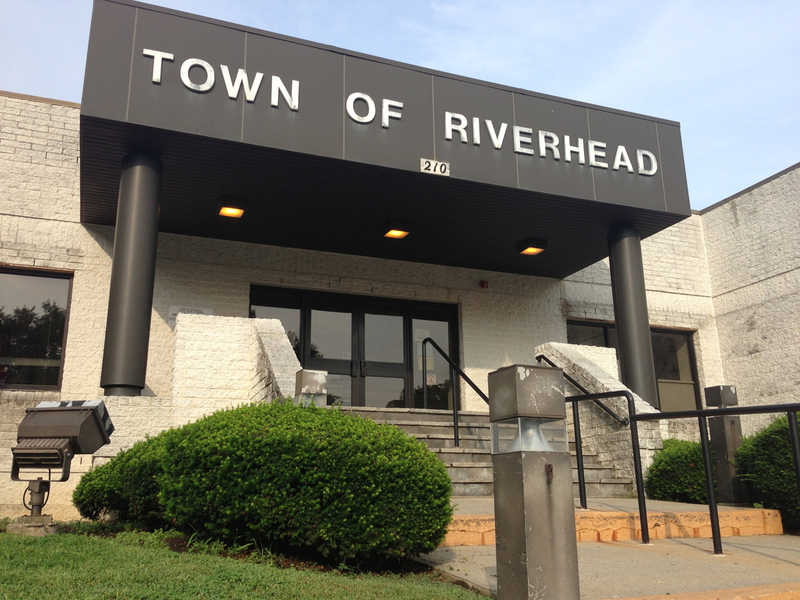 Although it was Suffolk County, which is also named as a defendant, that denied the mass gathering permit for the festival, the chief had said at the time that the festival would need 200 police officers and Riverhead could only supply 50. Supervisor Sean Walter said it was an oversight that the town had not provided legal indemnification for the chief, and that it should have been done years ago. The lawsuit is still pending in federal court. The concert, which was to feature the likes of Radiohead, Beck and the Beastie Boys, eventually moved to Giants Stadium as a one-day event, where it took place during a torrential rainstorm that limited attendance and reportedly contributed to an injury when Beck slipped and fell on stage. The Town Board is considering paying about $20,000 to have its official town code updated, edited and condensed. Two representatives from General Code, a private company that prints code books for most municipalities in New York State, discussed the proposal at last Thursday’s Town Board work session. “We have to do this,” Supervisor Sean Walter said. Still, board members decided to get cost estimates from other companies that do the same thing before deciding to move forward with the code update.